Lefteris is probably the first thing you'll hear when someone talks about Naxos. Ok, the traditional mountain village of Apiranthos may well be up there, with its beautiful rustic alleys almost coming out of a movie-set, but the food at Lefteris is second to none. And you must visit. Again and again. 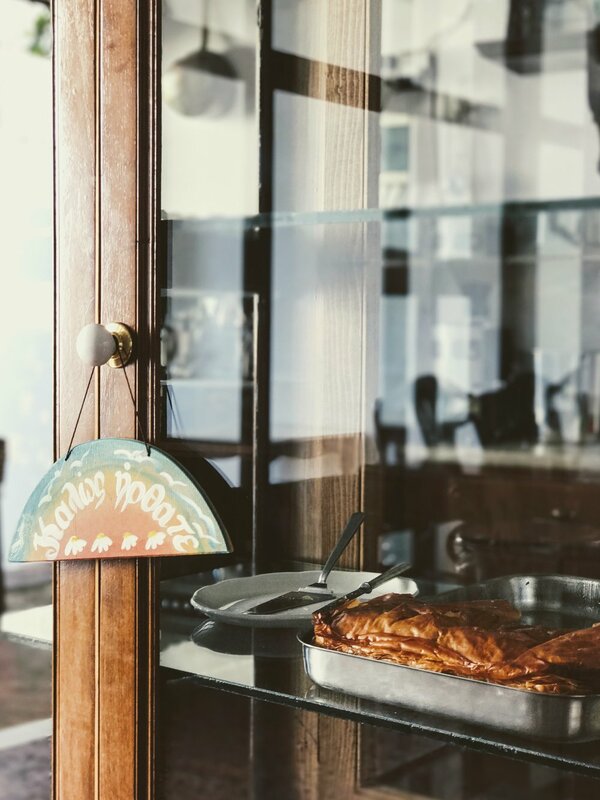 The story dates back in the 90s when Lefteris Karapatis, a local shoemaker by profession, decided to launch this traditional taverna offering the best meat delicacies (and then some) to all avid travelers in search of some fine traditional dining in Naxos. As years went by, his son Giannis took over, perfecting the art of grill which is one of their strengths going for them. As you walk through the marble-paved streets of Apiranthos you'll find Lefteris' storefront that looks more like an old rustic living room of some sort, rather than your typical Greek taverna. 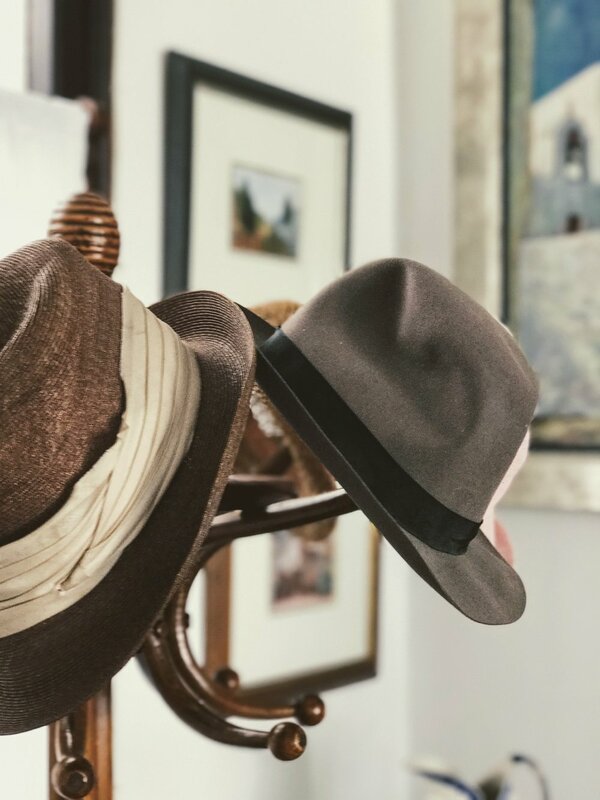 You walk in and find yourself immersed in what once could be their house filled with old and carefully maintained furniture, a few dated hats hanging on a coat rack and a cupboard where daily desserts are kept. Music plays low and moving towards the back you realise that you have to go down where you're presented with a thick-shaded veranda underneath a gorgeous walnut tree. The early afternoon hours is probably the best time to visit when you can (more or less) avoid the big crowds... and the disappointment from their traditional cheese-pie that is short-lived once hungry patrons start to flock in! Make sure you don't miss this one - no questions asked. The specialty of the house is their infamous burger, stuffed with local Naxos cheese and tomato, that comes grilled medium-well and moist enough to melt in your mouth. In nearby village Filoti, they also specifically prepare pork sausages for Lefteris with a strong flavour and a long-lasting aftertaste. As you navigate through the meat dishes -their juicy T-bone steak is also very good!- you realise that even the locally sourced boiled greens are of a divine taste - wow! But above them all, stands the cheese-pie, a long tubular phyllo-pastry filled with a mix of local Naxos cheese. Ugh... can't wait to go back!